Behold, the agile, beautiful wombat. Look at this bouncin’ baby. Look at this furry little ground-bound zeppelin. Such pep in his step, such loyalty to his human. My heart almost stopped at the end because I thought he was going to be snapped to a quarterback off-screen. Derek’s beach run here is downright cinematic. Whoever filmed this deserves some consideration for a litany of technical awards for their dolly zoom angle work here that put me in Derek’s head. Life is small and close to the sand when you’re a wombat. Those who prefer a more mature beauty might take to Patrick, 30-year-old wombat elder, the oldest known to man. Enjoy how his girthy form pools up in his handler’s lap. His yellowed buck teeth and fusty manner will win you over and make you wonder why you were ever so taken with kangaroos and koalas. 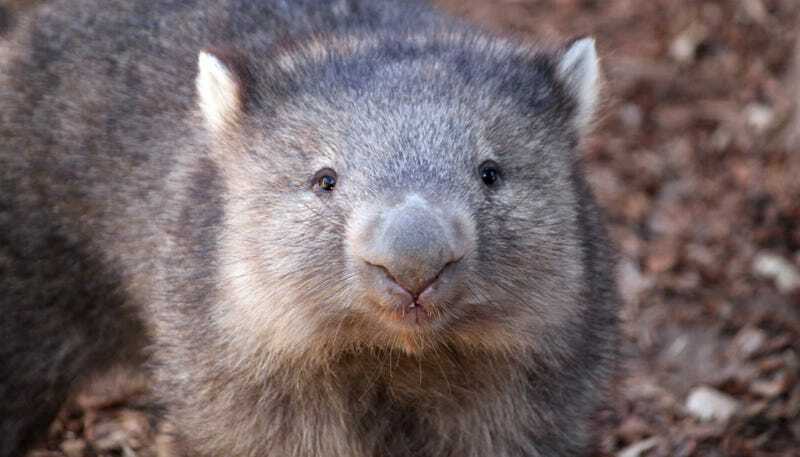 Wombats are the most underrated marsupial. Nothing is more soothing than watching this fat, small bear wombat just chew his salad. Chew chew chew chew.